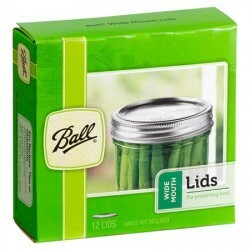 Refrigerator storage bins instantly declutter and ensure regular rotation of foods to ensure best flavour and less waste. With easy-grip handles and stackable design, these bins let you slide and lift out the items you need for sandwiches, entrees and desserts. Clearstacking refrigerator plastic storage bins separate vegetables from cold cuts, cheeses from fruits and organize yogurts by perishability. Slide and see small and tall condiment jars for easy selection. These stackable storage bins are durable for the freezer to categorize, lift and select frozen foods. Organize spices, packet mixes, jars and cans in a pantry. Save money, preserve flavor and ensure foods are used before expiration dates. BPA-free acrylic. Hand wash.
Keep Fresh Fruit Vege Fridge SaverKeepFresh is a green cartridge that you simply place in your r..
Keep Fresh Fruit & Vege Fridge Saver Refill Cartridge onlyREFILL CARTRIDGE ONLYKeepFresh is ..
Natural Sack Storage Onions100% breathable cotton storage bag with blackout lining to help preve..
Sealabag Recycle Any Size Plastic Bag! 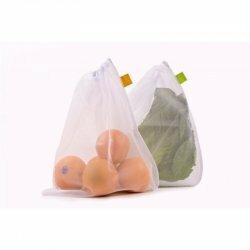 The quick and easy way to seal bin bags, bread bags, sandwich bags, freezer bags and nappy bags. S.. Eliminate the messes left behind in the refrigerator from sticky jars, dripping cartons, fruits and .. This Select-A-Spice Auto-Measure carousel measures 1/4 tsp with each click, shake and pour.It contai..
Reusable Mesh Storage Bags (pack of 5)Kick the plastic bag habit with these 5 reusable mesh bags..